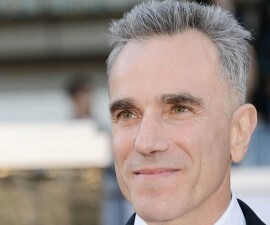 Typically, receding hairline is a sign of male-pattern baldness, a genetic condition – though not always. And if this receding does link to a genetic trait, it is not easy to treat. Many times, it occurs for the first time at the ages of late 20s or early 30s. However in a few cases it may occur at the age of 17, too – how to stop it? 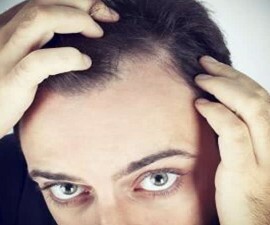 In receding hairline, you will lose hair starts from both sides of temples. This is common in adults and older adults, but not for teenagers. Having thinning hairline too early such as at the age 17 can be very bothersome! Although it is usually harmless, but you may worry that it may lead to baldness. 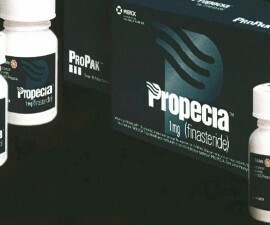 In fact, most people who take the treatment for receding hairline are due to for cosmetic reasons. The cause can vary. Genetic trait is the most concern, but it is not the only one. Other factors such as the use of some medications, poor nutrition (dietary factors), medical conditions, and even your hairstyle may have an effect, too. But many times, hormones and heredity are to blame. It’s thought that the oversensitivity to an androgen called DHT is the main underlying cause of the problem. And it’s likely to occur in families of the same condition. If you have family member (especially first degree relatives such as parent, brother, or sister) with pattern baldness, you are also at greater chance of developing the same condition. In men with male pattern baldness, their hair follicles are genetically hypersensitive to the activity of DHT in the scalp. Without known reason, DHT can shorten the growing phase of hair and make it to shrink quickly! Overtime, this is followed with the progressively decline in number of follicles with hairs, causing thinning hair or even baldness (partial or complete baldness). How long does it take to progress and cause baldness can vary from man to man. See also about the stages of how receding hairline progresses over time in this section! Fortunately the problem is not always a sign of male-pattern baldness. It also doesn’t always end with baldness. There are plenty of options (both lifestyle measures and medical treatment approaches) for coping. Actually, receding hairline is harmless (even though if it does link to male pattern baldness). The treatment is not always necessary and can be optional. However, it’s not easy for all men, especially if they know that it may end with baldness. Again, the treatment is usually only due to cosmetic reasons.